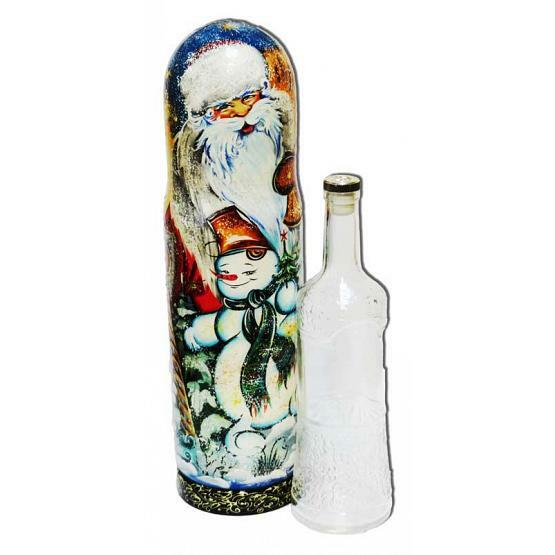 Christmas case depicting Santa Claus and snowman. 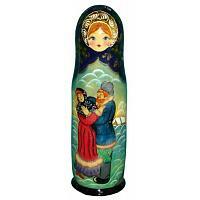 Could be used either as a gift box or to hold a regular bottle of champagne (0.7 l volume). Imported from Moscow, Russia. Ships within 7 business days.